Ikechukwu Kelikume is currently a doctoral student of the Swiss University of Economics (SMC University, Switzerland) and leads sessions in microeconomic and macroeconomic environment of business, strategy and microeconomics of competitiveness at Lagos Business School. Ike undertakes research and consults in areas which include macroeconomic modeling, financial and monetary economics, industrial economics, agribusiness and the oil and gas sector. He obtained his bachelor's degree and a Master's in Economics from the University of Benin. Prior to joining LBS, he lectured in Covenant University, Ota, Nigeria where he was the first coordinator/ head of the Department of Economics and Human Development. Kelikume also taught in the Department of Economics and Statistics, University of Benin. 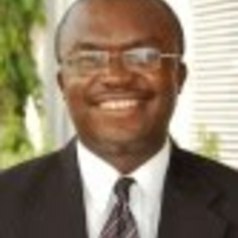 He is currently the head of Department of Accounting, Economics and Finance at the Lagos Business School. In addition to teaching, Ike also engages in consulting activities. His consulting activities have included assignments for the World Bank, the Nigerian Economic Summit Group, Oando Nigeria Plc, South Atlantic Petroleum Ltd and Total Nigeria Plc.